In July, 1947 an article titled “The Sources of Soviet Conduct” appeared in the Foreign Affairs journal which was to be the effective outline for America’s Cold War strategy for the next forty-four years. More recently, in December 1998, Atlantic magazine published a piece that showed how print journalism can still play a prescient if not prophetic role in American culture. Eric Schlosser’s “The Prison-Industrial Complex” was a timely and well-named piece of reportage that went beyond picturing our prisons as “factories for crime” - as bad as that is. The article portrayed a trend that would only intensify as time unfolded - the privatization of the prison system. This trend was exacerbated by both Democratic and Republican politicians, especially at the national level, posturing as “tough on crime” for their own obvious reasons. It also tied in to the nation’s almost-unreported, drug-incarceration dilemma and the somewhat draconian penalties often invoked. George H. W. Bush’s manipulation of the Willie Horton ad in the presidential election of 1988 and William Jefferson Clinton’s “three strikes” initiative in the mid-1990s were the tips of icebergs underscoring today’s “bizarro world” where violent crime keeps dropping while the nation’s prison population keeps rising. And how. When Slosser wrote, the prison population was headed for two million. 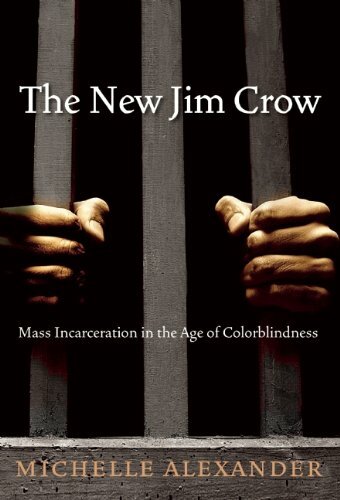 Now, according to civil rights advocate Michelle Alexander’s widely hailed 2010 effort, The New Jim Crow, the number of inmates exceeds 2.3 million and growing. Alexander, an African American, has cause to be concerned. In one startling factoid, she states that the number of blacks now attached to the prison/probation/parole network exceeds the number held in slavery in 1850. This is a larger percentage of inmates, she claims, than were held in jail under apartheid in South Africa. Both Slosser and Alexander see harsh penalties and mandatory minimums for non-violent drug offender as a leading cause of this national scandal. Alexander cites a revealing quote from conservative-leaning Chief Justice Anthony Kennedy before the American Bar Association in 2003: “Our [prison] resources are misspent, our punishments too severe, our sentences too loaded.” A San Francisco Federal District Judge actually broke down in court for having to sentence an Oakland longshoreman to ten years without parole for unwittingly giving a ride to a drug dealer about to meet with an undercover agent. Near the heart of this baleful predicament is the plain fact of heavy drug sentencing being privileged over treatment and rehabilitation. Baleful indeed, for millions of Americans know that once a family member receives a sentence for drug dealing their chances at receiving government assistance is slim or nil. Slosser showed how much of this can be traced back to the Rockefeller Law, pushed in New York State by then-Presidential hopeful Governor Nelson Rockefeller as part of the “law and order” backlash against the 1960s. The Rockefeller Law of January 3, 1973, imposed the mandatory prison sentence of life without parole for drug dealers (even juveniles). At the time, New York State had its lowest prison population since 1950. By contrast, the U.S. Congress in 1970 had voted to eliminate almost all mandatory minimums because of the reigning consensus that drug addiction was seen as a public health issue more than a criminal justice issue. It is hard to believe, looking back, but prevention and treatment were acknowledged as the better path forward in the 1970s. In 1977, famed entertainer Art Linkletter told an audience of counselors in Pasadena, California, the blindingly simple truth that “people take drugs because they feel bad.” Linkletter’s own son was a victim of a drug overdose, but the respected humorist was coming at it from the perspective of offering help through early detection and follow-up counseling. Popular culture stalwart Carol Burnett travelled a similar route in the 1980s. But the 1980s was the fateful decade that witnessed the crack cocaine explosion across the inner cities. This new reality persuaded even liberal politicians such as House Speaker Tip O’Neill to spearhead an effort to restore mandatory minimums in the Anti-Drug Abuse Act of 1986. This was, in turn, part of President Reagan’s “War on Drugs,” which many have ironically characterized as “America’s Longest War.” Even liberal Democrat Mario Cuomo of New York was swept along. Cuomo made the fateful decision to sell Attica Prison to a group named the Urban Development Corporation - an event Slosser sees as a major first step towards the virtual privatizing of the American prison system. The link between drugs and the prison-industrial complex was now solidified. While Slosser reported that by the 1990s the town of Dannemora, New York, had more inmates than regular population, Alexander lists the number of jobs tied to the staffing and support of our prison population as roughly two million. Thus Slosser: From 1984 to 1994 California would build eight new maximum security prisons while public housing took a back seat. The drugs-prison-employment opportunity nexus made for a grim dynamic. Jobs now depended on incarceration. Curiously, the mid-1980s crack cocaine epidemic in the inner cities burst on the scene so quickly that its causes have been virtually obscured to the American public. David Kennedy, a Professor of Criminal Justice famous for Operation Cease Fire whereby dialogue between Boston’s police and gangs bore good fruit, lectured the Justice Department at Washington, D.C., in January 2012. He did not spare his own government in the process. Kennedy confirmed what both Alexander and respected journalist Haynes Johnson reported back in 1992 in his insightful Sleepwalking Through History: America in the Reagan Years. This was the almost unknown link between crack cocaine pouring into the United States through the Columbian drug cartels exploiting the Iran-Contra Scandal of the late Reagan presidency. Through shipment deals with the Colombian drug cartels arranged by Panama’s dictator Noriega, the planes and cover needed to get arms to the anti-government Contras in Nicaragua had a startling backfire effect. Now tons and tons of Colombian cocaine entered the United States. Haynes Johnson showed how the "same planes that had carried contra weapons now carried illegal drug shipments into the United States…Pilots flying these missions included Americans, Colombians, and Panamanians. Sometimes they used contra airstrips to land and refuel on their U.S. drug runs [since they knew] authorities would not check these airstrips because the contra war was ‘protected.’” The tangled web was exceedingly tangled indeed by the time Bill Clinton and his “get tough on crime” agenda hit America in the 1990s. Obviously, no one wants to see a family member hooked on drugs. But Art Linkletter and Carol Burnett were voices spotlighting the human side of these tragedies. But in 1998, Slosser would summarize much of Alexander’s thesis: “Crimes that in other countries would usually lead to community service, fines or drug treatments - or would not be considered crimes at all - in the U.S. now lead to a prison term. By far the most expensive form of punishment.” One hundred dollars a day - a night at the Marriott - is the estimate made by Professor Fred Frese of Northeastern Ohio University for the average cost of a prisoner in jail. This amount is compared to thirty-five dollars in a group home. Indeed, one of the reasons for public concern being finally stirred about this prison-industrial scandal is the ballooning financial costs to the public sector. Popular journalism playing Cassandra…or Paul Revere? Atlantic magazine as a prophetic voice? Justice Kennedy, Michelle Alexander, David MacDonald, Fred Frese, and Haynes Johnson went on to document the tragic consequences of warnings falling on deaf ears. Like many oracular efforts and calls for change, Slosser’s 1998 argument rose to sonorous heights in his conclusion. “The spirit of every age,” he opined, “is manifested in its public works.” He went on to cite the Panama Canal, Boulder Dam, the Interstate System, and he could have added the abandoned gantries at Cape Canaveral. Maximum security prisons - is this what we, in this generation, want to be remembered for, he asked suggestively? Too many rural areas are already studded with curious stonework rising from the fruited plains that strangely resemble medieval castles but for one feature - the projecting gun towers underneath peaked roofs. Stalags in the heartland. Slosser’s was a haunting scenario and yet one that others now testify to as a sad fulfillment. His indictment of the “fear, greed and political cowardice” that has accentuated this growing scandal also shows a further lesson: sometimes prophets have to say tough things.